We want to experience nature. We want to get out in it, be a part of it, be amazing by it. Whether it’s hiking, cycling, climbing, rowing, rafting, fishing, or just kicking back and taking in the awesome sights and sounds of the outdoors. We want to be in it. In nature. In the moment. 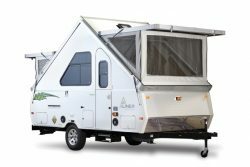 But we don’t want a 30-minute setup or the need to buy a heavy-duty, gas guzzling, hard to handle truck just to tow a camper. It shouldn’t be so complicated. With Aliners it’s not. 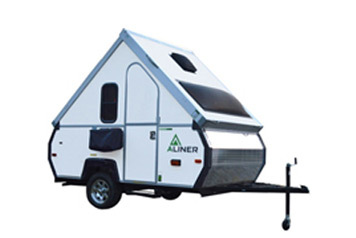 Aliner Campers are easy and convenient, allowing you more time to be in the moment doing what you came to do, enjoying where you came to be. There comes a time in life when you simply can no longer sleep on the ground. 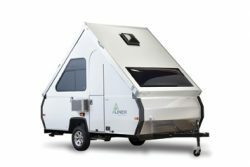 Enter Scout, the Aliner for traditional tent campers who want or need more than a tent. Scout offers the essentials amenities as well as quality construction, affordability, and ample storage space for all your gear. 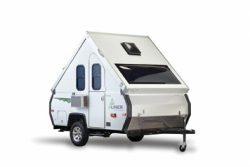 With a roof over your head and a nice soft bed to sleep on, you’ll find Scout is the perfect platform from which to launch all your outdoor adventures. 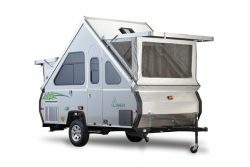 You have a choice of three sizes in the Ranger series of campers. 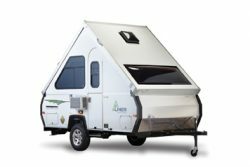 Each Ranger has the same equipment package, which is less than Classic and Expedition, but still fully featured for comfortable and easy camping. The Aliner Limited Edition was designed with a flashback in mind. 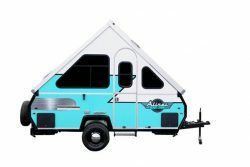 With its retro graphics package, new exterior porch light, tires w/ chrome moon hub, tire cover and a certificate of authenticity the new Aliner Limited Edition model is ready to hit the road. Only 84 units being made! It’s time to trade in the tent! The Aliner Scout-Lite was designed with the purist in mind. All of the same exclusive Aliner construction features in a light and simple package. 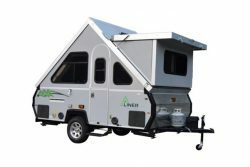 The Aliner LXE was truly designed to be your home on the road. The standard hard-walled front dormer provides ample space and head room for the built-in shower and cassette toilet. All of this in a package that weighs less than 2000 lbs. This is the model that started it all. All other Aliner models are variations of this original design. Classic earned its name by satisfying customers for over 30 years. It’s not the largest or smallest. It’s not the heaviest or lightest. It’s what Classic owners like to call “just right.” Versatile, adaptable, comfortable with everything you want and nothing you don’t. The Classic is just that …classic. 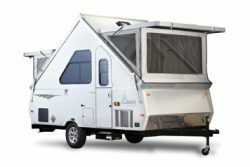 Ready to handle any adventure, Expedition offers nearly double the “living space”, 30% more storage room, taller counter tops, taller beds, flush mount euro style sink and stove, and our highest capacity chassis compared to our other models. Even as our largest model, it weighs less than 2,000 lbs and is towable by many fuel-efficient vehicles. Expedition is perfect model for the whole family or the couple that just wants more room.